Popular event to take place on May 16th at Crowne Plaza, St James, London. 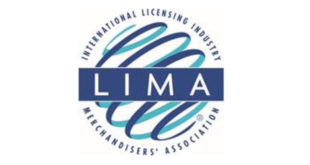 This year’s Licensing Essentials Course and Spring Fling will take place on Thursday May 16th, LIMA has confirmed. The event will be held at 51 Buckingham Gate, Crowne Plaza, St James, London. Execs from companies including ITV Studios, Trading Standards, GfK, Fashion UK, 360 Audit, Gately Solicitors, The Science Museum and Indigo Lens have all been confirmed as speakers. Early bird rate to attend both the Licensing Essentials Course and the Spring Fling networking evening ends on April 26th. Tickets for members are £299 (+VAT) or £360 (+VAT) for non members. Tickets to attend just the Spring Fling are priced at £60 (+VAT) for members and £90 (+VAT) for non members. For further details, and to book your place, simply click on this link. For further details about LIMA, contact Ryan Beaird – member services manager – on 01908 802863.